In July 2019, the CAF Nominating Committee will choose candidates to run for five open slots on the General Staff. If you have someone you would like to nominate, please send the name(s) to Donna Blalack, email or to P.O. Box 764769, Dallas, TX 75376. Recommendations are due by June 15, 2019. 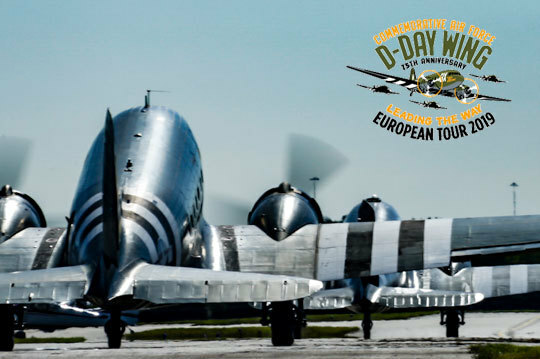 Here is a collection of the news stories about the CAF D-Day Wing, and the aircraft/aircrews of C-53 D-Day Doll *and C-47 *That's All, Brother. 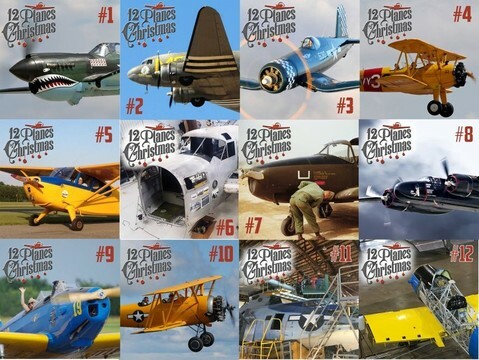 If there are any stories not listed here that should be, please forward a link to news@cafhq.org. Dallas, TX, March 19, 2019 - It is time to send in Individual Award nominations and recommendations for the CAF Hall of Fame! 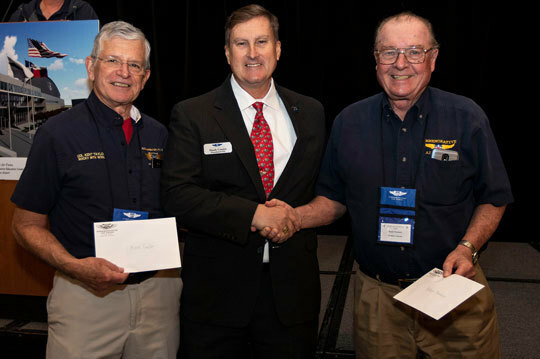 The national level awards program is intended to recognize contributions that have been extraordinary and have brought national recognition to the accomplishments of the individual. For award criteria and sample citations, please see CAFR 900-1 CAF Awards and Decorations. Nominations for Individuals are due by July 15th. 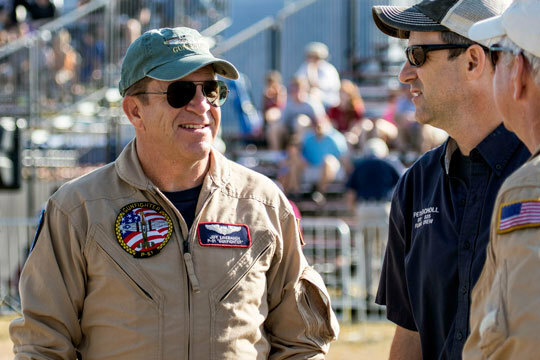 The 58th Special Operations Wing and 377th Air Base Wing are hosting the 2019 Kirtland Air and Space Fiesta on 18 May 2019 in Albuquerque, New Mexico on the military side of the Albuquerque Airport. 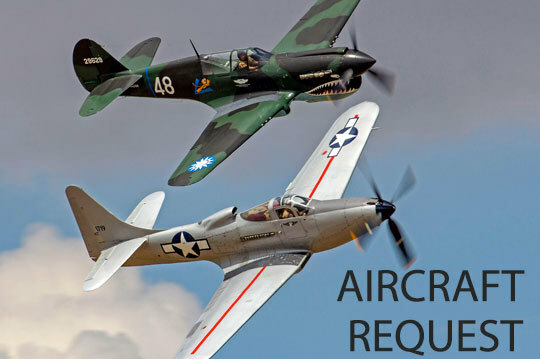 We saw several of your aircraft at the Minden-Tahoe Airshow in 2017, and would like to extend an invitation to you for our 2019 airshow. 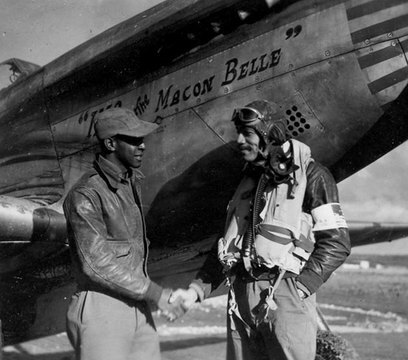 Tuskegee Airmen pilot and notable record holder Lee Archer was born September 6, 1919 in Yonkers, New York and raised in Harlem. He was a graduate of New York University before he enlisted in the U.S. Army Air Corps in November of 1941. Save the date! 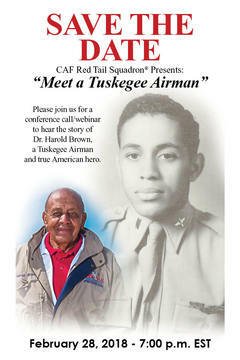 “Meet a Tuskegee Airman” live webinar and call-in event! 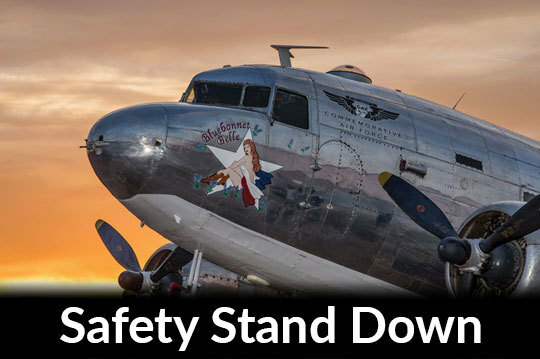 Join Tuskegee Airman Dr. Harold Brown and CAF Red Tail Squadron Leader Doug Rozendaal for a free LIVE webinar and conference call! Hear Dr. Brown’s inspirational story and learn how others can benefit from his extraordinary experiences.